The ProtectiveClean 4300 is the obvious choice when considering the needs and wants of the majority of users. The 5100 and 6100 both have something extra, but the appeal and value for money is not as great. The 4300 ticks the boxes of all the essential features and then some. 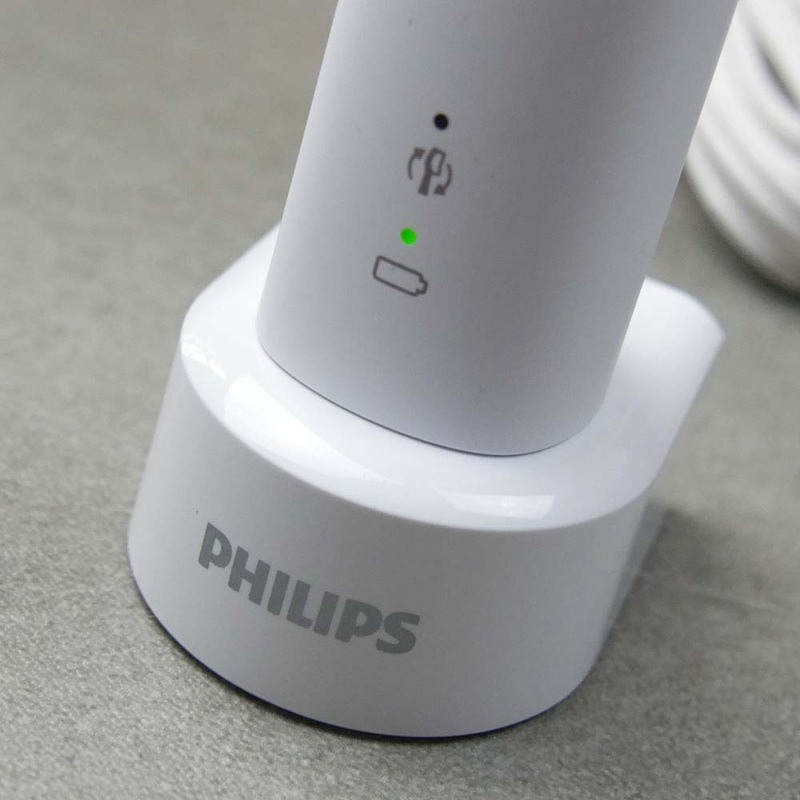 A lovely well rounded electric toothbrush that looks and feels great to use, whilst importantly cleaning the teeth well. 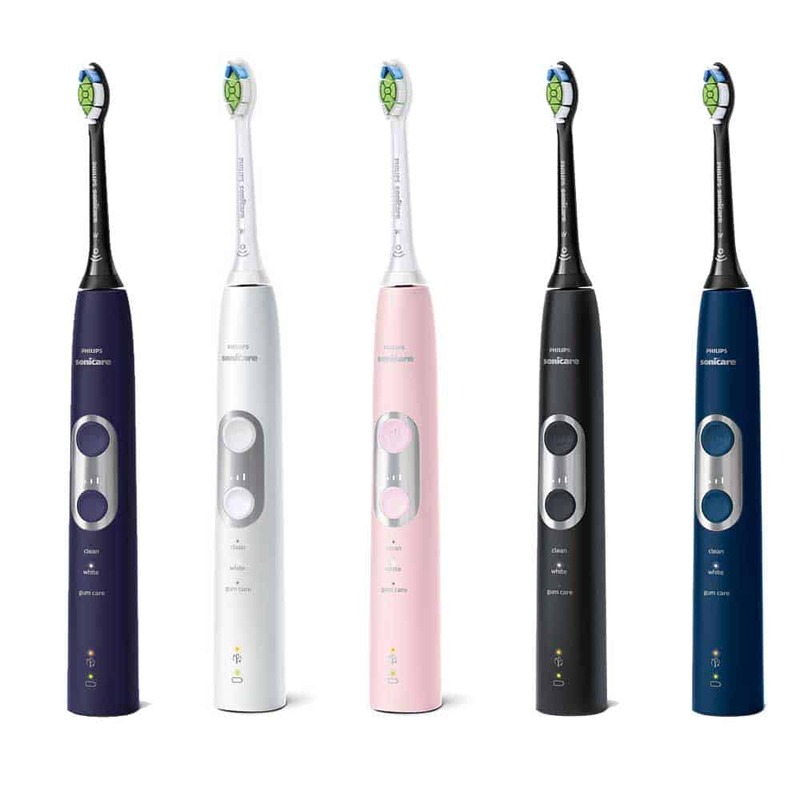 For a more detailed comparison of buying options, see our best electric toothbrush 2019 article. The ProtectiveClean 4300 has 1 cleaning mode (Clean) compared to the 3 cleaning modes (Clean, White and Gum Care) of the 5100. The 4300 has 2 brushing intensities (Low and High) that the 5100 does not have. The 5100 has a cleaning mode button. 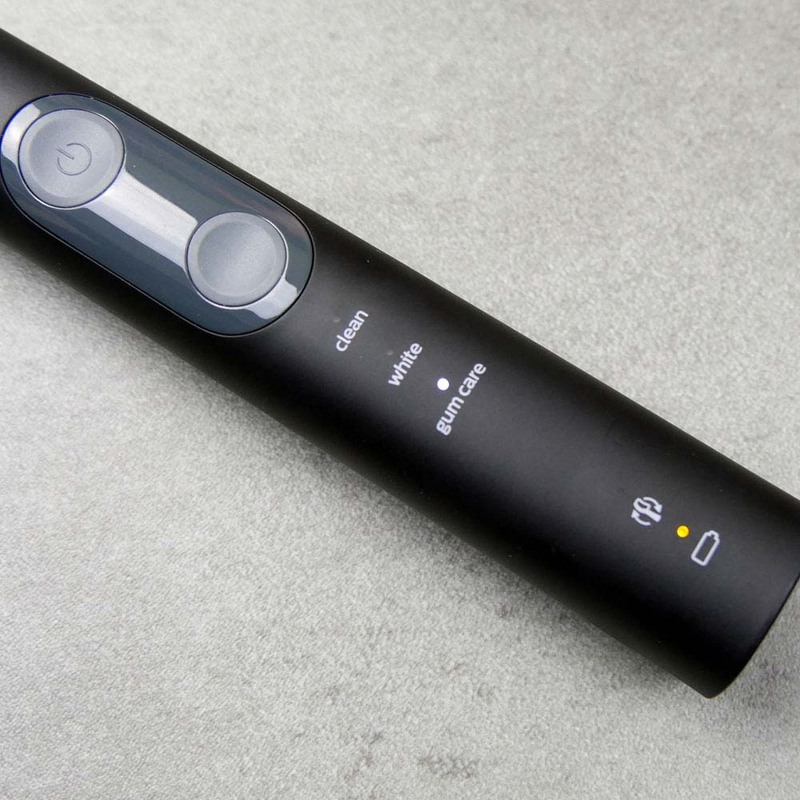 The 5100 has cleaning mode icons and LEDs on the handle. The 4300 comes with 1 x C2 Optimal Plaque Defence brush head compared to the 1 x G2 Optimal Gum Health & 1 x W2 Optimal White brush head with the 5100 (White & Light Blue variant HX6859/17 comes with just 1 x G2 Optimal Gum Health) . The 5100 is the more expensive model. The ProtectiveClean 4300 has 1 cleaning mode (Clean) compared to the 3 cleaning modes (Clean, White and Gum Care) of the 6100. The 6100 has 3 cleaning mode intensities (Low, Medium and High) compared to the 2 intensities (Low and High) of the 4300. The 6100 has a cleaning mode/intensity button. The 6100 has cleaning mode icons and LEDs on the handle. The 4300 comes with 1 x C2 Optimal Plaque Defence brush head compared to the 2 x W2 Optimal White brush heads with the 6100. The 6100 has BrushSync mode pairing. The 6100 is the more expensive model. The 6100 has 3 cleaning mode intensities (Low, Medium and High). The 5100 comes with 1 x G2 Optimal Gum Health & 1 x W2 Optimal White brush head (White & Light Blue variant HX6859/17 comes with just 1 x G2 Optimal Gum Health) compared to the 2 x W Optimal White brush heads with the 6100. The 6100 comes 5 colour options (White Silver, Pastel Pink, Deep Purple, Navy Blue and Black Silver) compared to the 4 (White and Light Blue, Pastel Pink, Turquoise and Black Grey) of the 5100. Detailed Comparison: What’s the difference between the Sonicare ProtectiveClean brushes? These 3 brushes are from the same ‘ProtectiveClean’ family. So, whilst differences exist between all 3 models, the number of differences are much smaller and less significant than if you were comparing an entry level £40 toothbrush to a £300 brush from a different brand. The small differences between each model might though be important to you and hopefully this comparison will help direct you to the most suitable brush handle for your daily brushing. A list of the key differences between each mode is provided above, but the remainder of this article explores those difference in more detail. The first thing to be aware of, if you are not already, is that the 6100 is the most premium and feature rich, with the 5100 below that and the 4300 being the base model. 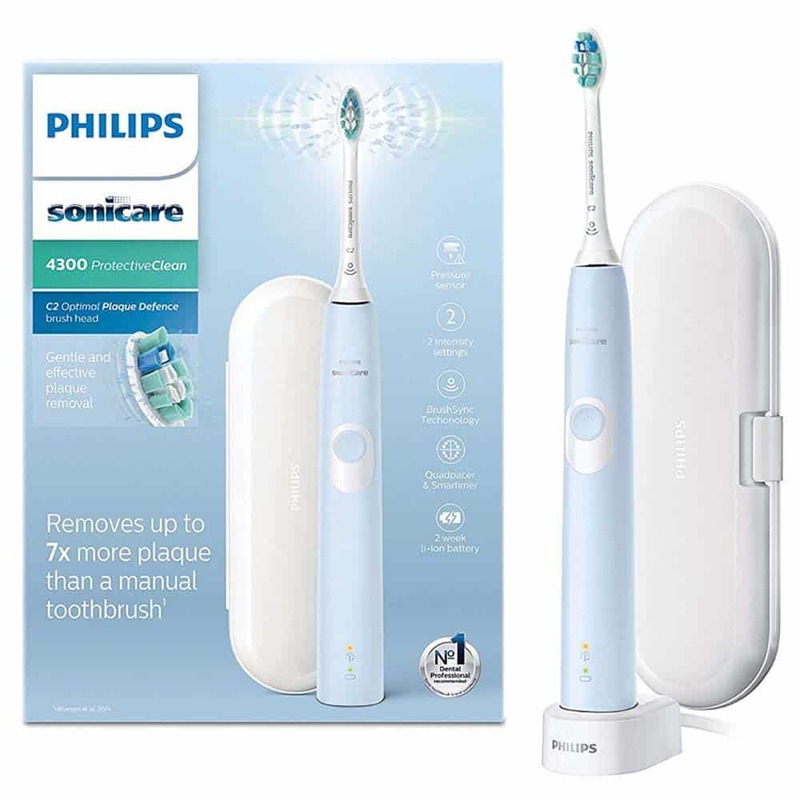 Despite being the base model the 4300 offers a lot of fantastic features and more than ticks the boxes for an everyday electric toothbrush and is my recommendation for ‘most’ people. As the entry level model, the 4300 offers just 1 cleaning mode compared to the 3 on the 51 and 6100. The Clean mode operates in the exact same way on the 3 models, as White and Gum Care do on the 5100 and 6100. Clean lasts for 2 minutes, White 2 minutes and 30 seconds and Gum Care 3 minutes. The extra 30 seconds for the White mode are to spend focusing on the front teeth, whilst the extra minute on Gum Care mode is for cleaning and stimulating the gums. We explain all of the Sonicare cleaning modes in this post. During that additional cleaning time the cleaning sensation can differ as the brush adapts to maximise the effectiveness. The additional cleaning modes do influence the design of the brush handle slightly. On the 4300, there is just a single power button, but no icon or LED to symbolise the 1 and only cleaning mode. Take a look at the brush handle on the others and you will notice that they have an LED for each cleaning mode, with that modes name beneath it. Running vertically down the handle, they read, Clean, White, Gum Care with an LED between each. That LED shines White, when the cleaning mode button has been pressed to select that mode. The 5100 and 6100 do too have an additional button on the handle. Sitting below the power button, this controls the cleaning modes or in the case of the 6100, the modes and the intensities. 2 of the 3 models have different intensities at which the brush motor works at. Far from a must have feature, it can radically change the cleaning sensation, particularly for those who find the power and intensity of an electric toothbrush to be too much. Changing the cleaning intensity to something lower can result in a more gentle and enjoyable cleaning experience, with the benefit of the controlled and consistent movements and power the brush brings. In the box with each brush handle comes a brush head, but each brush comes supplied with a different style of head. The cut and configuration of the bristles are different on each of these heads to achieve different results. Each does work best on particular cleaning modes too. 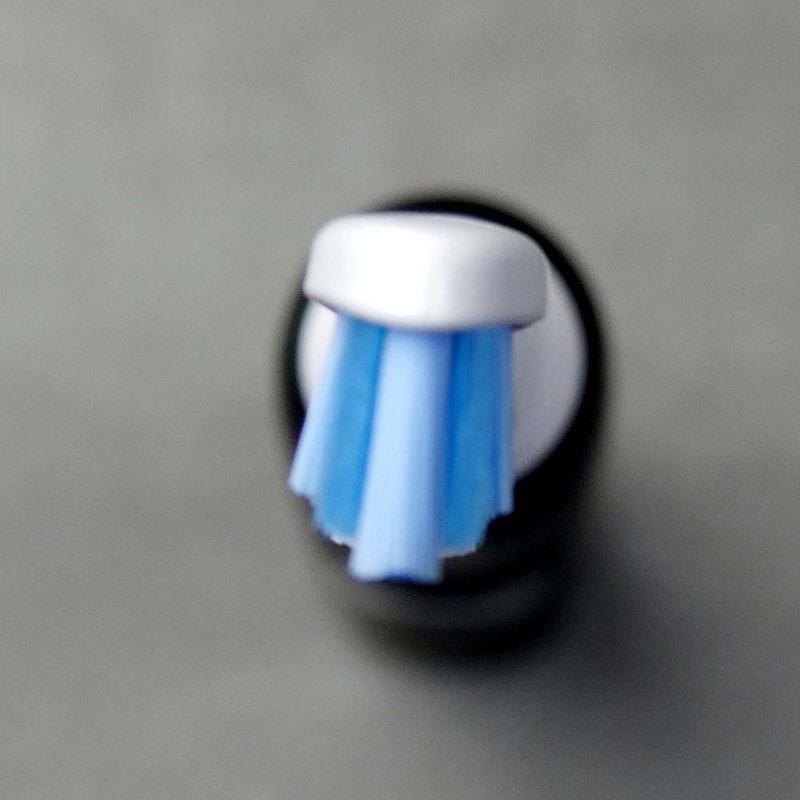 Much more detail is provided in our ultimate Philips Sonicare brush head guide but, you can perhaps see why each brush head comes supplied with each brush and how using the Gum Care brush head is likely to deliver better results when used on the Gum Care mode than others. Despite being better suited to particular modes all Sonicare brush head can be used on any cleaning mode. All 3 models have a technology called BrushSync. Technically, BrushSync is made up of 2 parts. The first being the brush head replacement reminder and the second being the cleaning mode pairing technology. The brush head replacement reminder is the part of the technology available on all 3 models. Only the 6100 offers the mode pairing technology. The BrushSync replacement reminder tells you, via an LED on the brush handle when it is time to change or replace your brush head. Brush heads should on average be replaced every 3 months, the brush reminds you of this fact, as it is quite easy to forget when you last replaced it. But, how it reminds you is quite clever. Inside the brush head supplied is a small RFID microchip. When the brush head is fitted to the brush handle, the chip is detected and the warning light will flash 3 times. This acts as confirmation that the handle has detected the head and that the electronics inside the handle will now keep track of it. As you use the brush head, the handle continues to track how often it has been used. If you use it twice a day, every day for 3 months, you will get the BrushSync notification light shine Amber once you hit that 3 month mark, this is your cue to replace it. Once you do replace it, the handle will detect the new head and the BrushSync LED will turn off for another 3 months. But, it goes further than that. If it detects you have brushed 3 times a day every day or brushed with more pressure, it will activate the BrushSync alert system sooner, as the bristles will have worn out sooner than the typical 3 month time period. It will also delay alerting you to replace the brush head. If you used that head just once a day over 3 months, it would not tell you to replace it until it had been used for equivalent to 4 minutes a day for 3 months. Mode pairing available on the 6100 uses the RFID chip inside the brush head to match the cleaning mode. The chip essentially says to the brush handle, when I am fitted, select this particular mode. Each head has a mode it works best with, so the handle of the 6100 automatically sets this mode as you fit the brush head. So, if you were using a C2 Optimum Plaque Defence brush head on the clean mode and you fit the W2 Optimal White, the brush will automatically switch the cleaning mode to White, so it is already set up for the best results when you switch the brush on. The final major difference between these 3 models is the colour of the brush handles. All 3 models can be purchased in different colour choices. Technically their features and performance are the same, just the colour of the handle that differs. Whilst all 3 models come with a travel case, this travel case is White in colour with any variant of the 4300 and 5100. With the 6100, you will get a Black coloured travel case rather than White if you opt for the Purple, Blue or Black. You will too also get a Black coloured charging stand and brush head. Whilst there are a few ways in which the brushes are different, there are too a few ways in which the brushes are very similar. I will briefly cover these now. All 3 handles have a very similar design to them. Yes, the 5100 and 6100 have a bit more going on because of the additional cleaning modes and brushing intensities, but they are of a rounded design, with a smooth to the touch paint finish. All 3 have no rubber gripping points, aside from the buttons, but they are not slippery in hand, even when wet. On the rear of the handle, is a notch that stops the brush rolling about if laid flat on a surface. All have a motor built in that can deliver up to 31,000 movements per minute that is powered from a Lithium-Ion battery built into the handle. 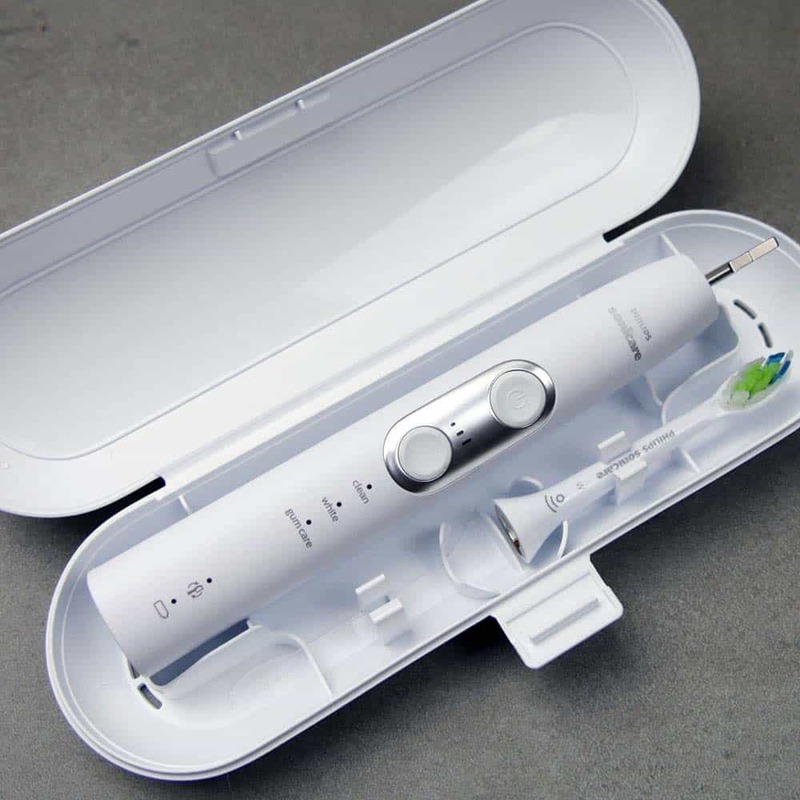 The non-removable battery gives at least 2 weeks usage Sonicare claim. Some variance in the battery life will come as a result of the different cleaning modes that run for longer and brushing intensities. My hands on testing achieved 20 days on the Gum Care mode and 5 weeks (37 days) with the standard clean mode. All models come with a charging stand, that has a prong on the top that fits into the base of the brush handle. Sitting upright on the stand, the power adapter connects to a 2 pin socket found in UK bathrooms. The brush can take up to 24 hours to charge fully. The stand itself supports voltages of 100-240v, meaning if you travel with the charging stand you need only a plug adapter rather than a voltage adapter. When in need of a charge, all give feedback through the LED mounted on the front of the brush handle. A solid Green LED means a full battery. A flashing Green LED means a medium battery. A flashing Amber LED and three beeps means a low battery. A flashing Amber LED and five beeps means no brushing sessions left, you need to charge the toothbrush. 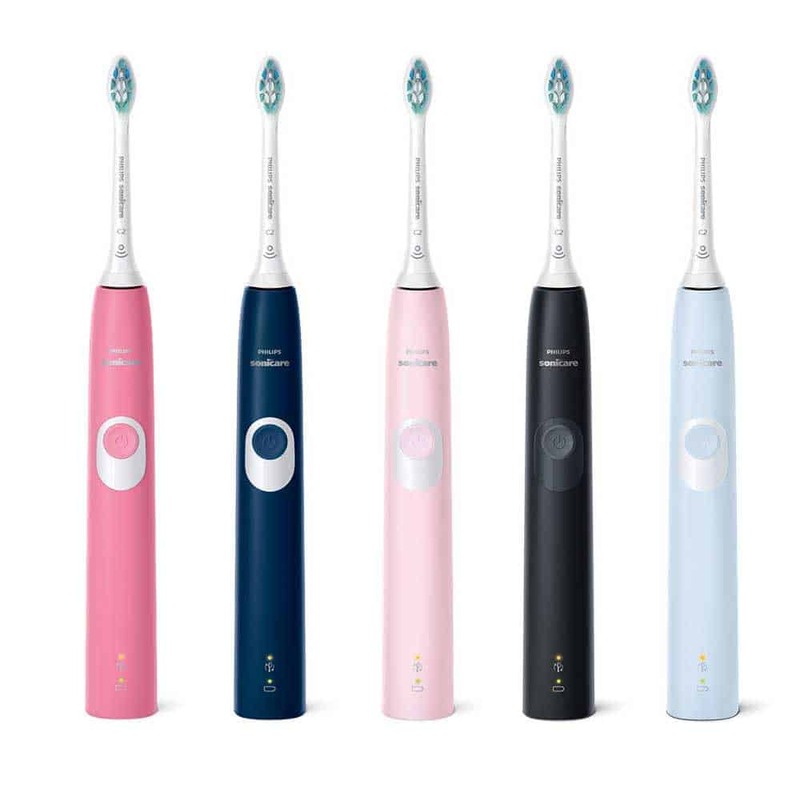 Additional features built into the handle include a pressure sensor, that vibrates through the handle and changes the brushing sensation to alert you to the fact you are brushing too hard. A timer and quadpacer are present to encourage you to brush for the right amount of time and evenly. Providing you allow the brush to come to the end of the cleaning cycle, the brushes will turn themselves off to signal the end of the clean and conserve battery life. An EasyStart feature is built in and switched on from the moment you unbox the brush. This increases the power of the brush mode over the first 14 brushing sessions to ease new users into the increased power the brush delivers. All 3 models comes with a plastic travel case. It holds the handle and up to 2 brush heads. Hinged on the left side, there is a clip on the right side to fasten the case shut. It is not the most stylish, but practical with a slight curvature to it. Solid and well constructed the handles are, they are designed to resist water, so a rinse under the tap to wash off toothpaste and saliva is absolutely fine. Whilst high standards of manufacturing are achieved by Sonicare, the nature of the product does mean that there is the potential for things to go wrong. A 2 year warranty is provided as standard. Under very tight and controlled testing, perhaps a clinical trial, yes, but for most users like you and I, there is no noticeable difference between each brush and how well it cleans. So I am saying 1 brush can clean better than another, but you won’t actually notice it…. All 3 models share 1 cleaning mode, called ‘Clean’. When used with the default, full intensity settings, the clean provided by the 43, 51 or 6100 will be identical. Each handle has the same motor built in to deliver up to 31,000 strokes per minute. The 5100 and 6100 offer 2 extra cleaning modes, White and Gum Care. White mode runs for 2 minutes and 30 seconds, whilst Gum Care lasts for 3 minutes, longer than the 1 cleaning mode they all share, that runs for just 2 minutes. The choice of the extra modes on the 5100 and 6100 and the way in which the motor differentiates the cleaning approach can achieve different cleaning results. The cleaning results as well as your comfort and enjoyment when cleaning can also be influenced by the variable intensity settings found on the 4300 and the 6100. As everyone’s mouth and teeth are different as are the possible results. Someone suffering with gum disease, may find opting for the Gum Care mode on the 6100 at the lowest intensity setting more enjoyable than the Gum Care mode on the 5100. They may judge the clean to be better at the low setting because its softer and less painful. Someone else on the other hand may like the more invigorating and more intense clean. Technically speaking, a clean should probably be judged on the amount of plaque removal. As everyone’s plaque growth rate is different based on the food and drink we consume, more variables are introduced. I have used all 3 brushes and I couldn’t tell you one was better than the other. Yes certain modes feel different, but I would not be able to say 1 removed more plaque than another. On all modes, my teeth felt cleaner after brushing than prior to. The way in which you or I brush and how frequently matters too. If you brush twice a day for 2 minutes everyday and use the right technique with any of the electric toothbrush models discussed here, the results are likely to be significantly better than someone who only brushes once a day or with the wrong technique. Use a W2 Optimal White head used on the ‘clean’ mode might not be as effective as when used on the ‘White’ mode. But, your teeth and how stained they are will influence the results too. To achieve the best possible results, using the most appropriate brush head for the cleaning mode and sticking to the default cleaning settings and power is the best course of action. No clinical studies or comparisons have been made and I would believe the possible differences or improvements between each to be clinically insignificant. So ultimately, what I am trying to say here is that it is possible that 1 brush cleans better than another, but the circumstances and proving it are difficult. Only under clinical trial conditions could it be proven or disproven that one cleans better than another, but even then the differences are likely negligible. All clean very well and better at removing plaque from the teeth and gums than a manual brush. Yes, as you might expect, the more feature rich models command a higher price. This makes the 4300 the cheapest, followed by the 5100 and 6100. All have rather high recommended retail prices. They are £179.99, £279.99 and £299.99. These are artificially high prices and you should not pay any of these prices. The UK is well known for selling at anywhere between 20-60% less, on average than these prices. You should expect and look to pay no more than £70-90 for the 4300, £110-140 for the 5100 and £120-150 for the 6100. Even at these prices, do your research and consider your options. Read my hands on reviews to better understand the price of each brush. Whilst Sonicare tend to command a premium over the competition, the market and prices are ever changing and there are often some great deals to be had. Unless you need or want the extra cleaning modes that come with the 5100 and 6100, the 4300 is the brush you should opt for. 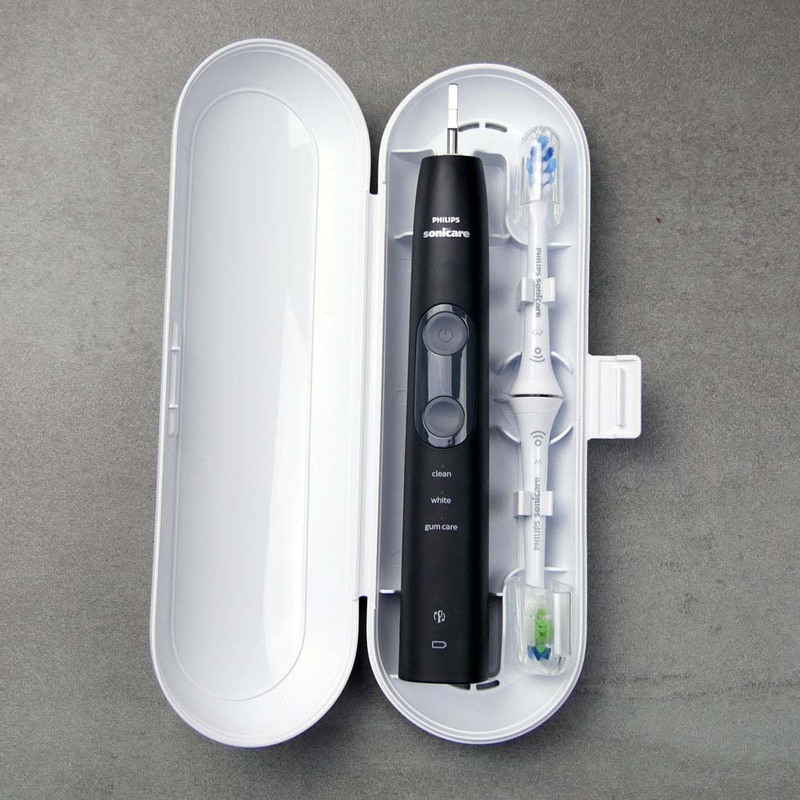 For most people the ProtectiveClean 4300 goes above and beyond what is core to a good electric toothbrush, but those additions are welcomed, making for a better experience. A built in 2 minute timer and pacer encourage longer brushing times. The pressure sensor helps avoid unnecessary damage to teeth and gums. The battery life is very good. It comes with a travel case to protect the handle and head in transit. There is a choice of colour, rather than just a clinical White option. Automatic power off, EasyStart and BrushSync then just rounds the overall offering. There is an attention to detail and the small touches with the ProtectiveClean range and it is these small touches that take something good and make it great. All are fairly expensive toothbrushes, the 6100 being the most expensive, but there is to some degree a certain quality and satisfaction in paying a slight premium when you get to use a brush as good as these. I don’t know your precise needs and wants, so some assumptions have to be made. However, based on several years of feedback and conversation with readers, I am convinced for many the 4300 will be an excellent buy. To find out more about any of these brushes why not click the relevant links below to be taken to the manufacturer’s website, to our hands on written reviews which include video or to one of our recommended outlets to purchase one at the best price possible. On reading this you may have found that 1 or none of these brushes are right for you. There are many other brushes from Sonicare and other brands like Oral-B. Hopefully I have presented the facts and made the whole decision process that little bit easier. Thank you for this most excellent article. You’ve explained the differences very well. I tried finding out the differences myself but flicking from one website page to another was just so frustrating and time consuming. I’ve been using Sonicare for years now and find them very easy to use and gentle on the teeth/gums etc. This will be my 3rd one. Been very happy with the previous ones, but, as with all things, nothing lasts forever. Previous one has lasted over 5 years so I think I’ve had my moneys worth from it! I’ll be going for the 6100 thanks to your article (probably would have prior to reading your article anyway but now feel more confident this is the one for me). Once again, thanks for a great article. You should consider reviewing other products in a similar style, I’m sure you’d be very successful! Thanks for the kind words, Patrick. We’re glad this post helped you with the buying decision. It is indeed very confusing figuring the range out — sometimes new additions even have us scratching our heads, and we’ve spent a lot of time understanding them all! Enjoy your new brush — if you’ve got any feedback after using for a while feel free to post a comment on our 6100 review page, as a long term Sonicare user it would be great to know what you think. The confusion surrounding model types is exasperating but your excellent in depth analysis has been of immense help. It seems Boots have the 6100 for around £89 and I am giving this serious consideration. I only have used Oral B but would like to now try Philips. I do wish they’d come up with a quick charging system. Many thanks for your help. Pleased to read that this has helped you out. £89 is a decent price for the 6100 and it is a good brush.